Jonathan and I just spent a lovely three days exploring the city of Porto (also known as Oporto in English) in northern Portugal before heading back from Porto via Aveiro to our home on the Silver Coast. Porto is a great place to explore on foot, but there are hills, lots of them and lots of steps, so be sure to wear comfortable shoes. However, if the hills all get to be too much, there is a funicular, historic trams, metro and buses to get around on and plenty of bars, restaurants and cafes to relax those tired limbs. 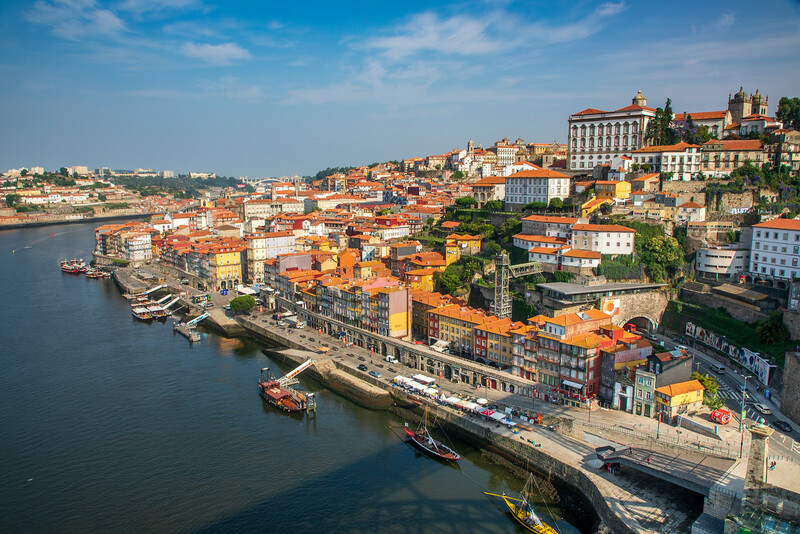 Ribeira, located down by the river is one of Porto’s oldest neighbourhoods and very popular with visitors to Porto. It’s a beautiful area to wander the narrow streets, relax in one of the many bars, coffee shops or restaurants, people watch, stare at the boats on the river or stroll through the riverside markets. The prices for food and drinks here are a little bit more expensive in this area as it’s catering mainly for tourists, and you won’t find many locals here, but it really is a very picturesque part of Porto. Porto Cathedral is the most important of all the religious buildings in Porto. For those planning to walk the Camino Portuguese from Porto, this is where you pick up your Pilgrim Passport. The passport costs €2. 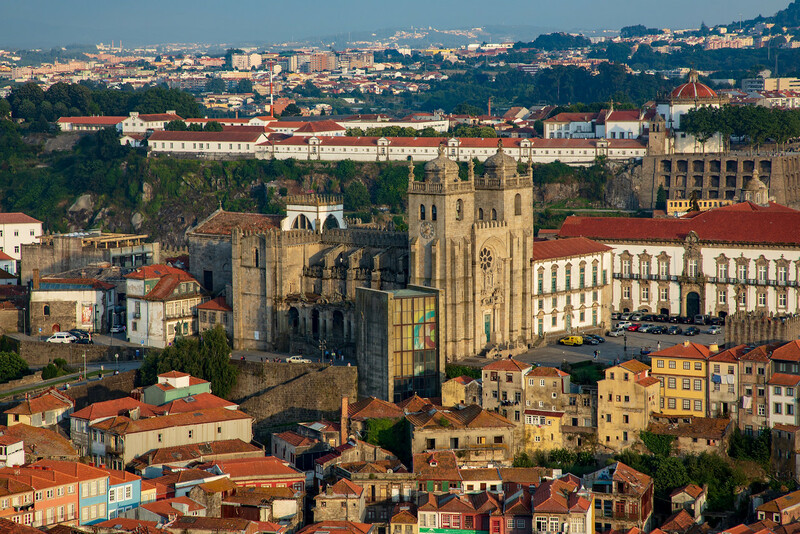 The cathedral is located in Batalha, very close to the city walls that protected the city and very close to the Funicular dos Guindais which is a great way to avoid the steep climb from the riverside district of Ribeira, plus the funicular offers great views of Porto. It costs €2,50 per person per trip. Porto Cathedral was built during the 12th century but it has been rebuilt and renovated many times over the centuries which is why the Cathedral is an interesting mix of Baroque, Gothic and Romanesque style. 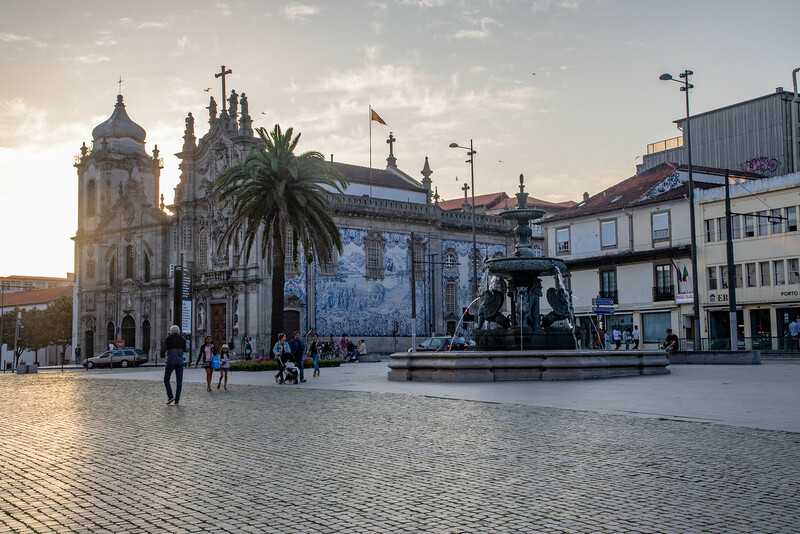 In front of the Cathedral is a large square where in the past, the criminals of Porto were hanged but today it’s a great place to enjoy the views over the city, the Port cellars on the waterfront and the River Douro. Just a short walk from the cathedral is the São Bento Train Station. 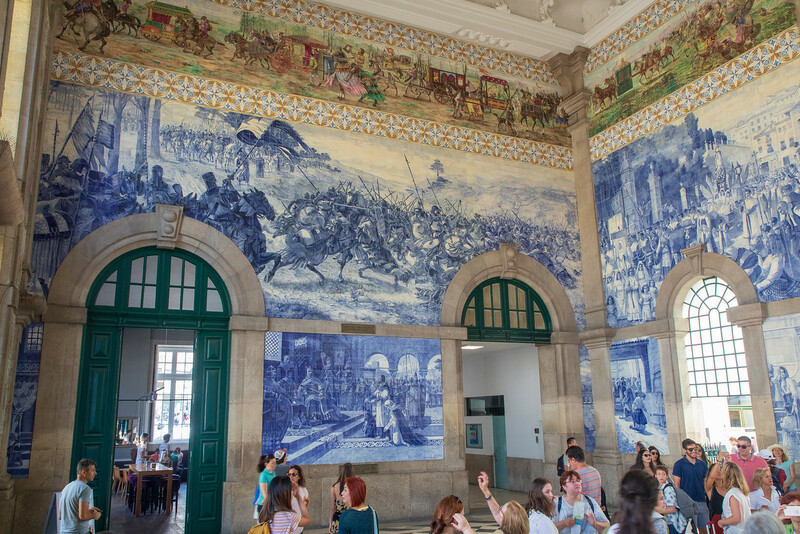 The São Bento Train Station is considered to be one the most beautiful stations in the world. Don’t know about that but the azulejo panels in the front hall are pretty impressive. From the outside, this looks like the largest church to be found in Porto, but it’s not. In fact, these are two churches separated by an extremely narrow house. The narrow house was built to keep the nuns and monks separated. So on the right is Carmo Church which was built in the 18 century and on the left is Carmelitas Church which was built during the 17th century and was once part of a convent. 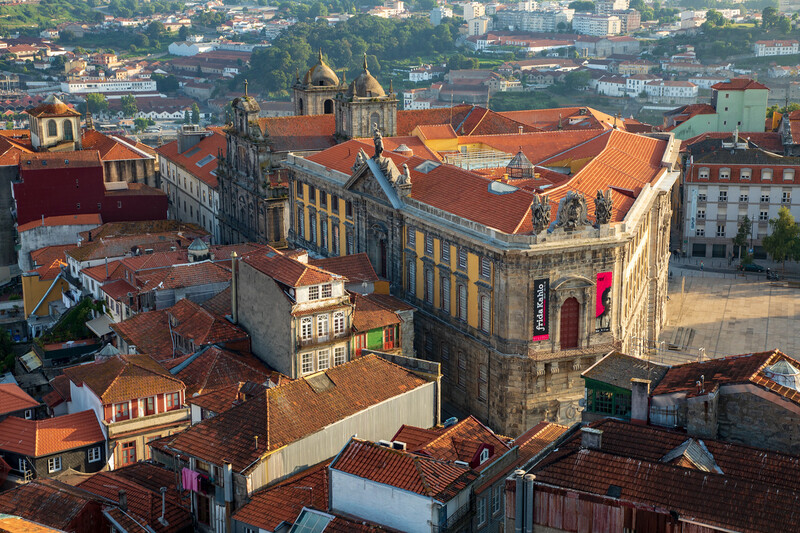 During the French Invasion of Porto from 1808-1814,the church was used as a barracks. Just a short walk from the Carmo Church is the Clérigos Tower. It’s possible to climb all the way to the top of the tower for some great 360 views of Porto. Note that the staircase gets rather narrow as it nears the top, so if you suffer from claustrophobia or vertigo, this might not be for you, but it is beautiful from the top and well worth the climb. It’s only 240 steps! Cost €5 per person. Not far from the Clérigos Tower is the famous bookstore Livraria Lello. Named by Lonely Planet as the ‘Third Best Bookstore in the World.’ This is the bookshop with the beautiful art nouveau staircase that inspired the Harry Potter’s Library in Hogwarts. Apparently JK Rowling, author of the Harry Potter books used to teach English in Porto in the early 1990s. We would have loved to have had a peek inside, but photography is banned inside the bookstore and the queues to enter are long, very long. In fact, to enter Livaria Lello, you have to buy a ticket costing €5 per person. This will be refunded if you actually purchase a book. It certainly didn’t deter the Harry Potter fans, but it did us. Maybe we will visit next time we are in Porto. 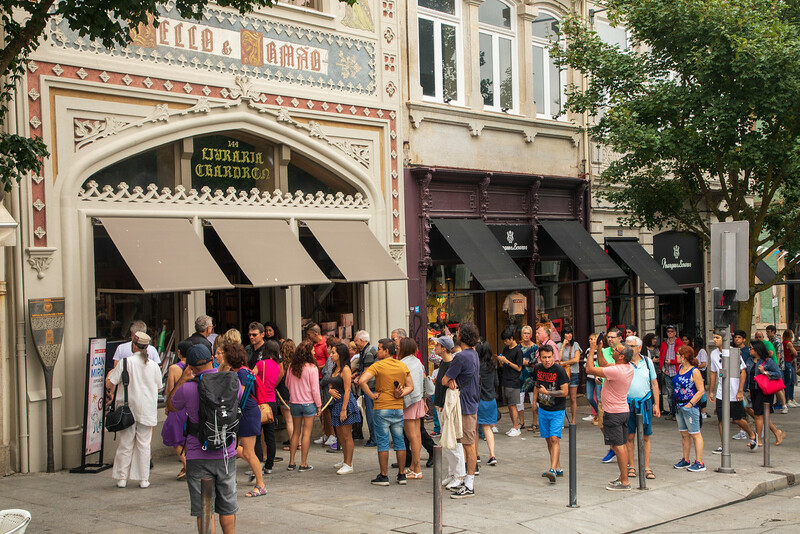 If you want to visit, the Livraria Lello Bookstore it is open daily from 10:00 to 19:00. A quirky museum, Centro Português de Fotografia, located in a former prison in the Largo Amor de Pericao. The museum is free, and on the top floor is quite a cool display of old camera equipment, spy cameras and novelty cameras. From the museum, there are some great views of the city too. Yes, it’s a little bit touristy but a fun way to spend €3 and spend 20-30 minutes sitting down is to take one of the historic trams around Porto. They are beautiful to look at with their polished wooden interiors and shiny brass controls. There are three routes that you can take around the city. Tram route 1 is the most popular. This tram ride follows the River Douro and passes under the Ponte da Arrábida Bridge terminating in the rather pleasant Foz district. It gets busy, and you might not get a seat. We tried to take this tram, but because of the crowds, we ended up travelling the route on the more modern bus 500. Instead, we opted for tram 22 which is a circular route around the historic centre, plus the tram stop was conveniently close to our guesthouse and we got a seat! Took around 30 minutes, before we arrived back where we started. 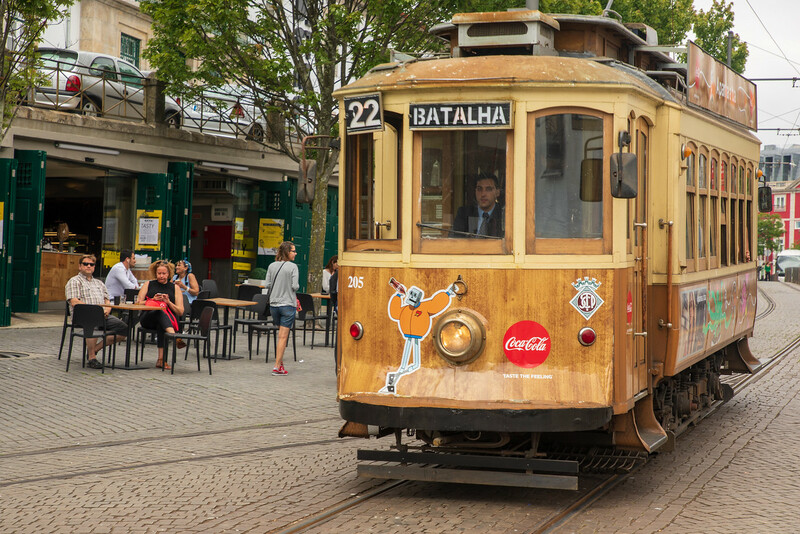 For first-timers to Porto, this is actually quite a good tram to take because it passes many of Porto’s historic sites – São Bento Station and Carmo Church to name but a few. Tram 18 is also a circular route starting from Carmo Church. The route is not as scenic but if you just want to experience a tram ride without the crowds, this could be the one for you. Also, if you want to know more about trams, this route stops at the Tram Museum (the Museu do Carro Elétrico). Here’s a list of some of our favourite eateries we discovered on our recent trip to Porto. Brasão Restaurant – recommended by the owner of our guesthouse. Apparently, they serve the best Francesinha, Porto’s famous dish. Jimao Tapas e Vinhos – located in the Ribeira district. Delicious tapas, service was a bit slow but the tapas were great and we were in no rush. View of Porto from Guindalense F.C. Guindalense F.C. – Close to Porto Cathedral on the stairs heading down to the Ribeira. Unpretentious, very casual, very local with an amazing view of the Luiz 1 Bridge and the River Douro. Zenith – just around the corner from the Carmo church. Great for breakfasts, but be prepared to wait in line. Their breakfasts are really popular. We enjoyed our eggs Benedict, but the pancakes looked amazing. 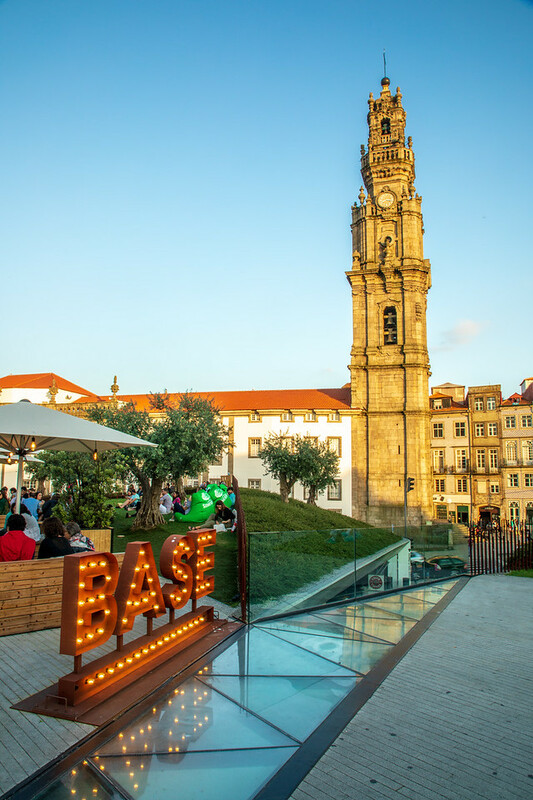 Base – Right by the Clérigos Tower, in a park on top of a small shopping centre. It’s a cool bar to enjoy a beer on a sunny evening. No toilets though and none open in the shopping centre downstairs either. 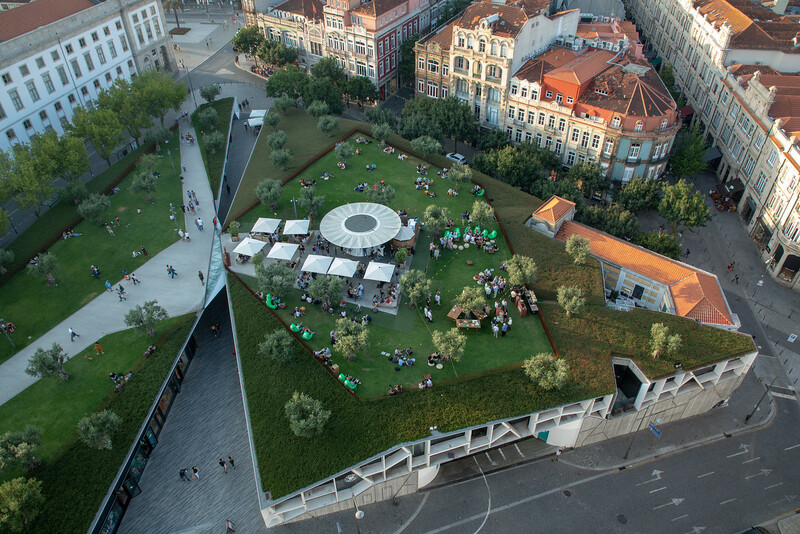 Fuga – This is a new cocktail bar, overlooking the River Douro close to the Historic Tram no 1 stop in Foz. Casa Guedes – just off Praça Poveiros, close to the main shopping area. Is this the best pulled-pork sandwich in the world? Judging by the long queues outside, many people think so. We enjoyed the ‘pernil com queijo’ pulled pork with cheese. And I’m not even that keen on pork, but it was really good and well worth the wait. S.Valatim – Looking for good seafood? 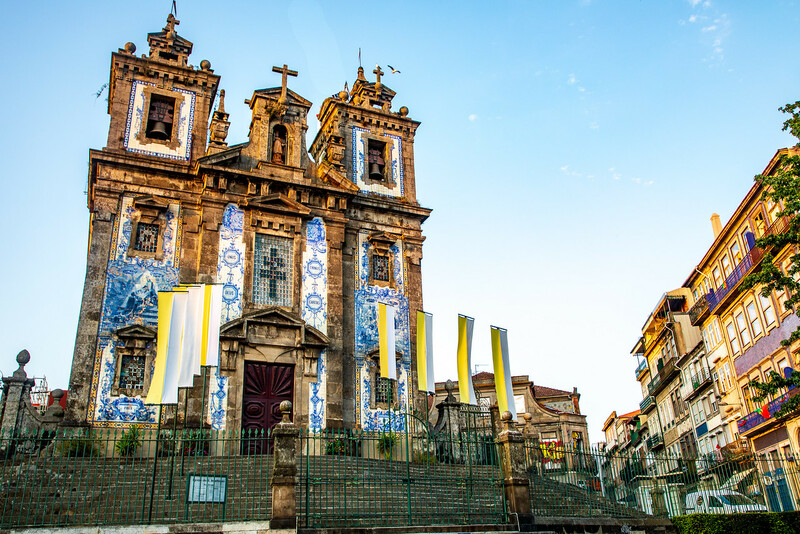 Take the bus 500 from the historic centre of Porto and head out to Matosinhos. Bus fare is just under €2 each way. You will find many seafood restaurants located on Rua Heróis de França. 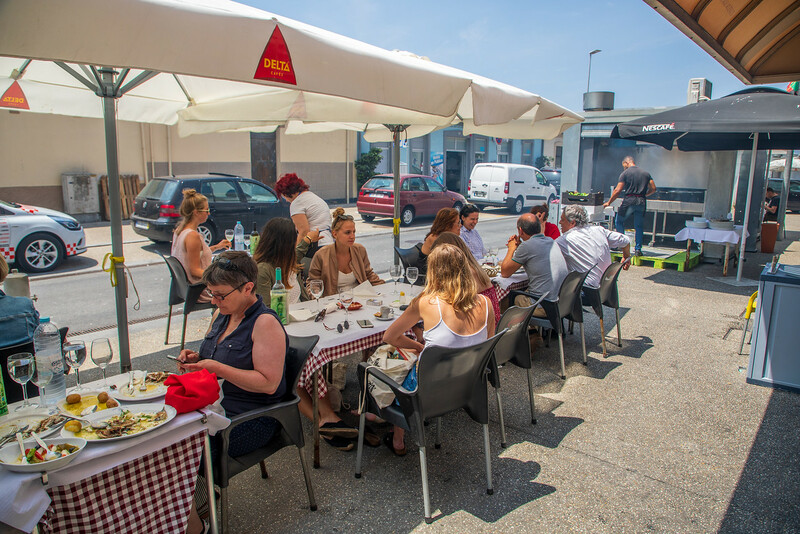 We enjoyed a great lunch at S.Valatim, but next door restaurants S.Lusitano and Tito II were also recommended to us by the owners of our guesthouse. The restaurants are all one block in from the sea, so great food but no views. 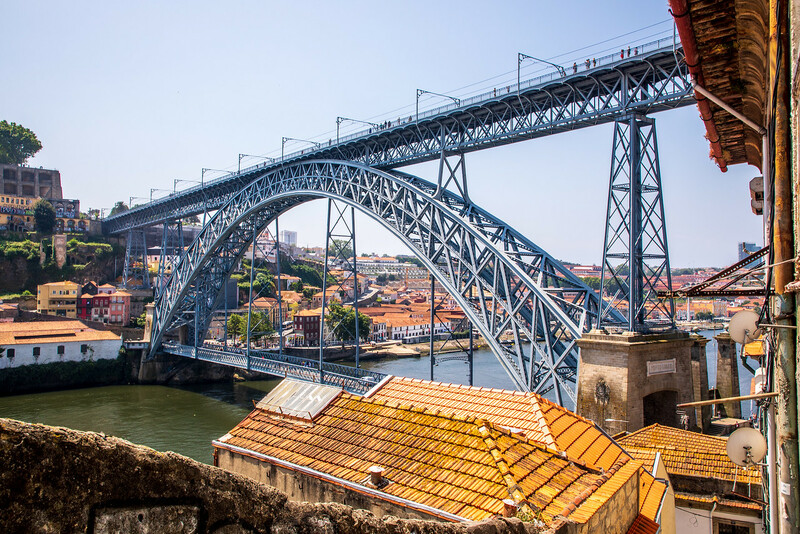 How to get to Porto, Portugal? By plane – Porto’s airport is located around 11 kilometres from the city centre. Many major and low-cost airlines fly into Porto predominantly from European cities. Getting from the airport to the city is easy by bus, metro, taxi or renting a car. Remember if you do rent a car, parking is not easy in the centre. By train – There are two main train stations. Trains requiring international connections and those from Lisbon will arrive at Campanha Train Station. The train journey from Lisbon takes around three hours. Regional trains arrive at São Bento Train Station which is located in the centre of Porto. For more information on train schedules and tickets prices, visit https://www.cp.pt/passageiros/en. By bus – For those that don’t like flying or travelling by train, there are plenty of buses in Portugal. From Lisbon, there are up to nine buses a day on Rede Nacional de Expressos. By car – Porto is well connected to all the major motorways. After living in Laos for a few years, we still can’t believe how easy it is in Portugal to get from A to B. We stayed at the São Luís hotel in Porto. Not located on the prettiest of streets but nice, clean and quiet. Easy parking and free, which believe me isn’t easy in Porto especially if you use LPG gas in your car (like us). It cost just over €50 a night, and was just a short walk to all the major sites. The owners James and Rachel were lovely and gave us great tips on where to eat and visit. However, Porto is a large city and there are hotels and guest houses in town to suit all budgets. We usually book our hotel accommodation through Booking.com. Contact us and we can give you a referral link that will give you €15/£15/$15 refund on your hotel booking after your trip and us too. It doesn’t have to be Porto, it can be any hotel featured on their website. A win-win situation! As with all city trips, it’s impossible to see everything in just a few days but we plan to return in autumn to do a Port Tour and visit the Douro Valley. Can’t wait! I’m totally in love with Portugal in general, and especially the north. Having been to Porto twice, it’s a city I know well! 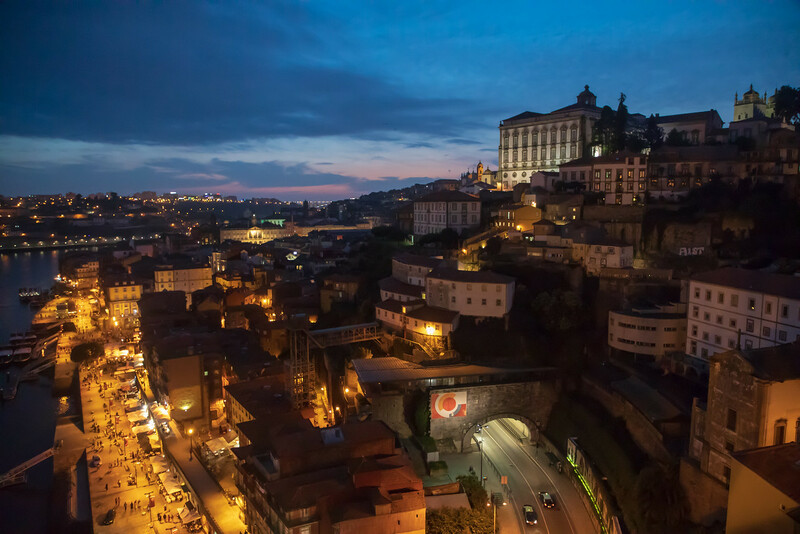 The Ribeira district is pricier, but once you get to know other areas, there are some excellent places to drink Port wine and eat delicious Portuguese food! Still love Sao Bento train station; it’s mesmerising. It’s a beautiful city and has some great restaurants. We will definitely be visiting there again. Porto is high on my list due to ancient architectures across narrow cobbled stoned streets. I would also love to take a ride in those historic trams. The view from Clerigos Tower is amazing. Also Porto looks great in the evenings. Thanks for sharing great tips on where to stay as it is always so confusing. Ohhh Porto sounds so heavenly. It’s one of those places that I would totally love to visit when in Portugal, especially to try the Port wine here! 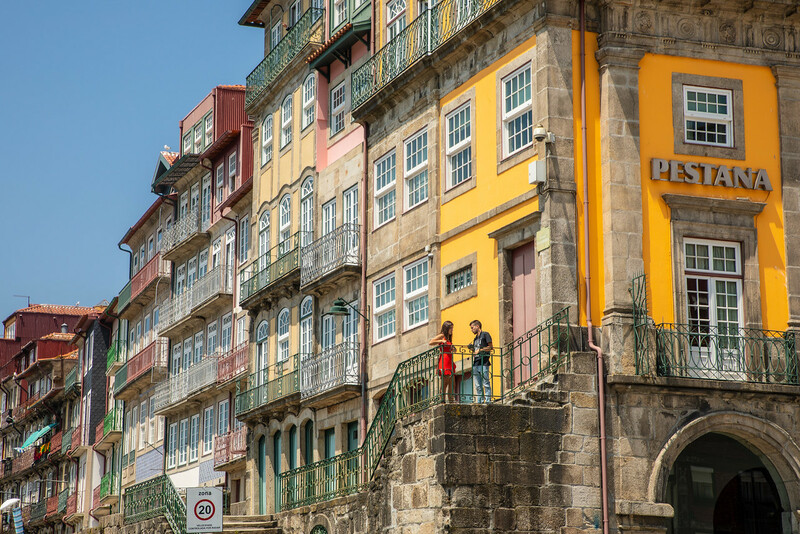 Ribeira sounds divine…I love the sound that it is just such a picturesque part of Porto. I am so fascinated by history so I would love to visit the Porto Cathedral, especially since it was built back in the 12th century! Porto looks so beautiful and the view of the Ribeira District of Porto is amazing. Everythings is so picturesque and I love to visit it someday soon. The rustic look of the tram goes well with the surroundings. I’m in to churches and Portugal has one of the stunning churches in the world! Porto Cathedral one best stop here I’d love to visit, the architecture is truly magnificent. Coming from a Catholic country, I’m fascinated by seeing and watching different churches. And the tram train is a legend! So cute, indeed! I cannot wait to get to Porto, I have been hearing so much about it lately. Ribeira is the place you’ll find me most evenings, I know I’ll love the vibe there and the architecture is so amazing. Also, Porto Cathedral looks pretty awesome. Thank you for this itinerary suggestion, 3 days are exactly what I plan to spend there as well, when I go. Thanks so much for this info.! and the pics are great! I’ll be going to Porto for 3 days so this perfect…p.s..does there happen to be a perfect day trip from Porto?